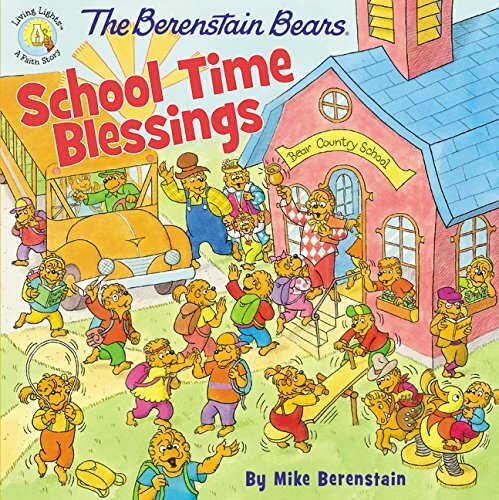 The Berenstain Bear books are known for their character building stories that are full of good values, faith, and life lessons. 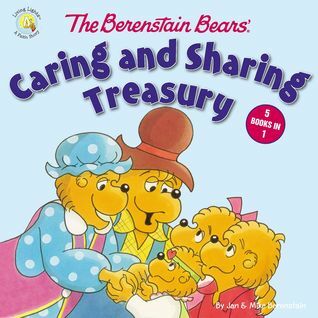 Five of these books have been bundled together in an attractive hard back that all teach about caring, sharing, and the importance of choices. The book is one that can be treasured for generations and will teach great lessons to little ones as they listen to their parents reading. Included at the back of the book are the activities that children and parents can do to put the lessons learned in to practice. I loved the idea of a hardback book that can be held by little hands and stand up to the rough use that children sometimes put books through. The stories are the same wonderful stories that we all enjoy and have been reading since childhood. This is a book that I will be recommending and purchasing as gifts in the future. This Bible was created with the idea to show children some of the important texts and topics in the Bible. 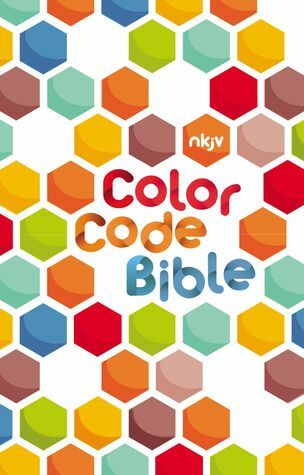 Thomas Nelson has taken a NKJV (New King James Version) Bible and color coded topics that will teach children important topics, such as Jesus, prayer, and heaven. There is a section that explains how the coding works and what each color stands for. There is also a study help section and some blank pages for journaling or writing down prayers. The Bible also includes a yearly reading guide, maps, and other information about the Bible or subjects that further study. This is a well laid out, well designed Bible. My kids have enjoyed pouring over it and reading the studies. While this is clearly designed for children and even says so on the back description, I think this would also be an excellent book for the new Christian or interesting person who is just learning about the Bible and is unfamiliar with the basic knowledge. Overall, an excellent edition that is sure to appeal to all ages. Branigan is a reporter for a small town paper. Her boss has decided to write a follow up story on the anniversary of a ten year old murder. The murder is now considered a cold case and is the only unsolved murder in the small Georgia town. Branigan hopes that she can shed some light on what might have happened that day ten years ago when a prominent lady was brutally murdered in her home. But now the unsolved murders are starting to add up and Branigan is getting spooked. This was an excellent book. 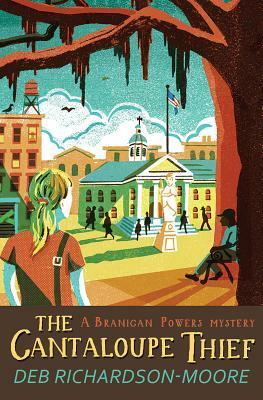 The plot was a mixture of small town quaintness, whodunit, and a bit of suspense. The author wove the details together to create a gripping story that I couldn't put down. The writing style reminded me a lot of Alexander McCall Smith. The story draws you in, the details keep you puzzled, and the characters make you think. I loved how the story was told partially from the homeless people's point of view, which had a different perspective. The book, while definitely entertaining, also made me think. And that is a plus for me. Overall, I would definitely recommend this book and can't wait to read the next one. 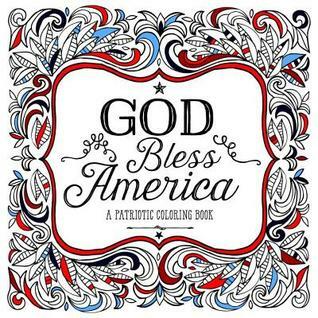 Just in time for the 4th of July comes a coloring book that will give you hours of relaxation, but also details about history and our country. As you open the book you'll find detailed and amazing artistry in the form of coloring pages on the left. On the right are facts about our country, Bible verses, poems, and famous quotes. Each one ties in with the picture that is being colored. Nine different artists have come together to create this work of art that not only gives a beautiful canvas for the person with the book, but also shows the reader a glimpse into American history and what makes our country so great. I loved this book. It was fun, relaxing, and also a learning experience. The paper is heavy card stock and doesn't bleed through when using markers. The pages are perforated for easy removal, but the spine allows for quite a bit of bending if the pages are being left in when colored. My children and I really enjoyed reading the notes while relaxing with a coloring page. This book would make an excellent gift. I think this would also work well in a classroom setting as a great addition to the history curriculum. Overall, would definitely recommend this book if you enjoy adult coloring books. It's one of the best I've seen. The world has a completely different view of what it means to succeed and be a woman of excellence that God does. 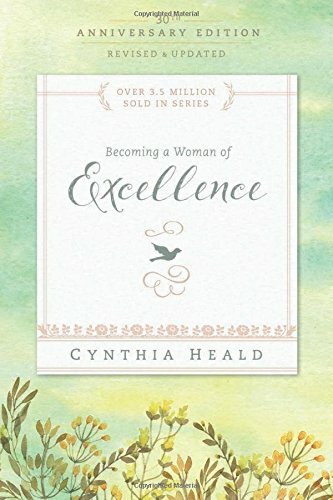 The author has taken an in-depth look at God's idea of excellence and what it means to us as woman. She begins by defining exactly what excellence means. There are questions, tons of scripture, and thoughts from the author to tie everything together. Each chapter is a little bit different, but has the feel of an in-depth Bible study. There is also a guide for Bible study leaders at the back. This is an excellent book. I loved the layout, topic, author's comments, and how deep she went with the scripture. While I definitely enjoyed working through this study on my own, it would make an excellent book for a women's small group Bible study. The beautiful cover, thinner pages, and lots of space for writing also make this visually pleasing, so this would be a great gift as well. Overall, I highly recommend this for anyone looking for a women's study guide. I received this book free of charge from Tyndale Blog Network in exchange for my honest review. Leah came home one day to find a man waiting for her in her apartment. 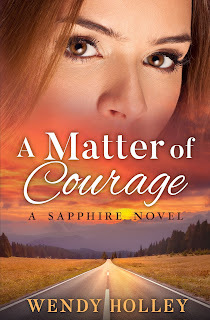 What followed next shattered her world and left her running scared. She packed up her city apartment and fled to the small town of Blue Falls, Texas where she has family. She's hoping the sleepy town, her police officer cousin, and attentive towns people will allow her to feel safe again. But she doesn't count on the massive man who she rents from or his quiet, broken niece. Both just might find a way to break down her walls and help her live again. This was a sweet and gripping story. I was pleasantly surprised to find depth of character, and intriguing plot in this small book. The author did a great job of creating the right feel of what the characters were experiencing and pulling the reader into the story. She gave just the right feel to small town living. Several of the secondary characters were just as interesting as the main ones. I got a slight feel that there might be more to some of them, but at no time did I feel lost or confused. So while this might be book 8 in the series, it can definitely be read as a stand-alone. Overall, this was a really enjoyable read. I would recommend it to anyone who lives a sweet romance with a touch of drama. Claire and her friends are wallflowers. They are heading in to their third season with no prospects in sight. A mistake leads to a decision amongst their little group. They will each work together to help the girls go from wallflowers to wives. Claire's friends help her with new clothes, and arrange for her to tutor the man she's been wanting in French. Jonathan is wanting a job working in France, but since an accident has lost his ability to speak french. He must get a tutor and quickly learn the language again if he wants a chance at the prime position. Claire speaks fluent french. The perfect opportunity has landed in her lap. Now she must have the courage to take back what she lost. This was a fun story. 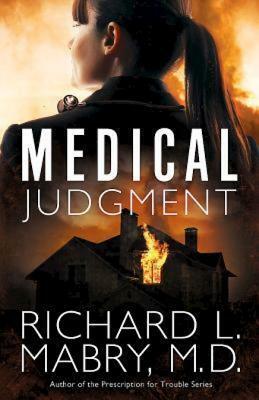 The author did a great job of creating drama in several areas and some tension among the characters. The chemistry between the two main characters was great. I also really enjoyed the story of the wallflower friends. That theme alone will bring me back to the next book in the series. The title is a bit misleading. While there were some "hot" scenes, the book was so much more than a bodice ripper. 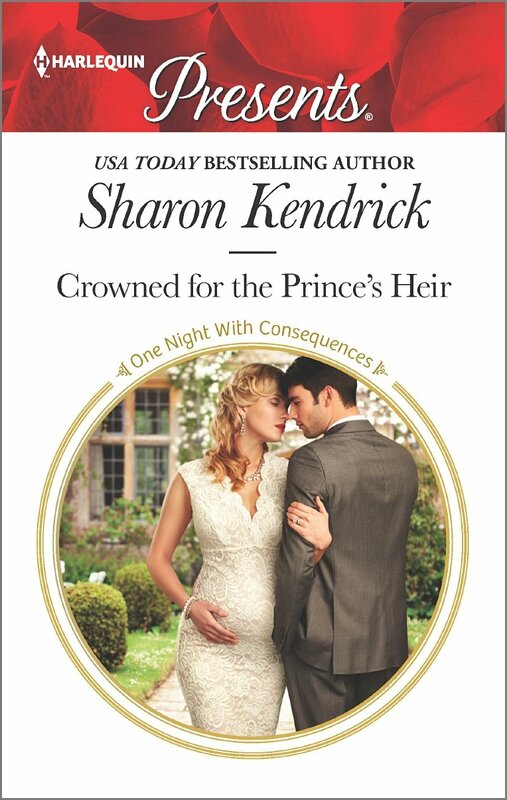 Overall, this was a fun, adventurous story that fans of romance, history, and drama will enjoy. Brother, Sister, and Honey are all nervous about school. Honey is starting pre-school so she's worried about leaving her parents and unsure about what to expect. Brother and Sister are excited about their favorite subjects, but are worried about the ones that they aren't so great at. Their parents talk about how they will help them, but also talk about how much God loves them and will help them when they are worried or afraid. The illustrations are, of course, delightful and full of great details. I love the way the author writes at a level that will comfort and reassure children with similar worries and concerns, while still making it entertaining and fun to read. There are some suggested conversations ideas and some activities at the back of the book that parents can use to further the discussion of school worries or help the children find ways to work through their problems using faith like the bears did. Overall, this was another great book that our family is excited to add to the collection. Tabby and Justin have been best friends since grade school. And Tabby has been in love with Justine for almost that long. But she sits on the sidelines and watches as he dates countless other girls and then leaves her and their small town behind as he heads for the big city. Now he's back for a short time and his presence isn't as welcome as he thought it would be. Several years ago he made a mistake that Tabby has no interest in repeating. Justin is going to have to make some serious changes if he hopes to change Tabby's mind. This was a sweet story. It felt like I'd missed a portion since it only alluded, for a while, to their mistake four years ago. So I had to guess about what happened until I was a ways into the book. Also I felt a little lost when it came to most of the secondary characters. It felt like I should know more about them so was being left without the whole story. The romance between the two was complicated and angsty until almost the very end of the book. If you like lots of drama, angst, arguments, and misunderstandings in a plot, then you'll love this small town story about best friends in love. Want a deeper connection with God that lasts all year? The author has taken select words and written devotionals full of illustrations, stories, and Biblical thoughts around that word. 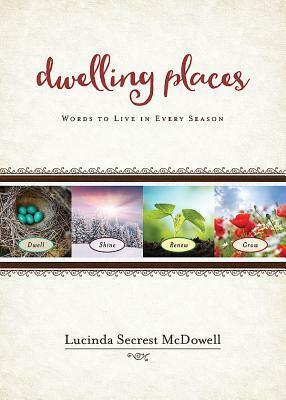 The devotional is divided up into the four seasons with focus on Lent and Advent for spring and winter. Summer is a time for blooming, growth, new starts, and new life. The section called Summer in the devotionals is about growing in your relationship with God. Each devotion has a beautiful text about growing in God and then the devotionals focus on that time. The cover is what first drew me to this book. It's colorful and yet peaceful. Each devotional has a lot of thought put into it. The stories and scripture leave an impact that has the reader thinking and pondering the chosen word all day. I liked the layout for each page and the compact, easy to open binding. This book is great for anyone wanting to reconnect or strengthen their bond with Christ. It would also make an excellent gift. 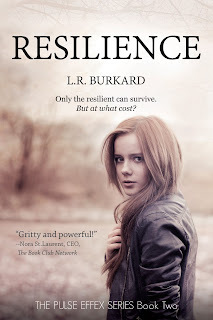 Lauren returns to Circle M Ranch after her father's death to sell the property. She already has a buyer lined up and plans to invest in an accounting firm with her friend. 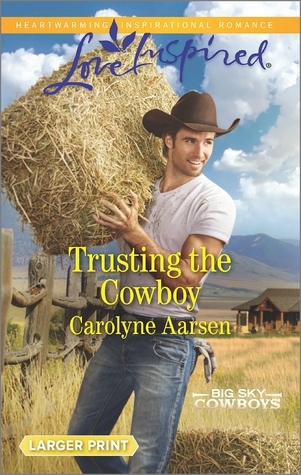 But when she arrives, she finds a cowboy named Vic who claims that he had a gentleman's agreement with her late father to lease-to-own the property at a much lower rate than she can get with her buyer. Small problem - they can't find any paperwork supporting his claim. So while Lauren waits the month before she can finalize plans she begins to fall in love again with the town and it's inhabitants. This was a really fun and interesting story. Made me wish I'd read the first book in the series. Even though it's in a series, it can be read as a stand-alone. The two main characters were authentic and had depth that really came through in the writing. The complex emotions that the author brought out helped to round out the character driven plot. This is a faith based story and I really liked how the author used the situations the characters were facing to draw out lessons that can apply to everyone. This was a sweet, romantic story that was entertaining and made me want to grab the first book so I could learn more about the town and its inhabitants. Tia is feeling bored and a tiny bit burned out in her job as a chef at her uncle's restaurant. So when her aunt Julie calls and begs her to come be a chef on her new luxury yacht, Tia can't pass up the chance. What she doesn't expect is to have Leo, an old acquaintance pick her up at the airport. 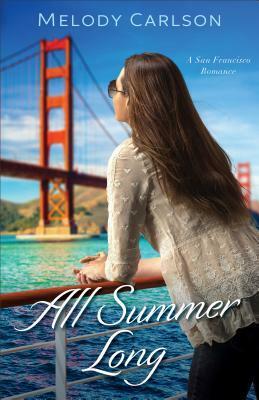 A first kiss, a surprise engagement, and a sudden heart surgery are just a few of the unexpected things that hit Tia as soon as she steps into the San Francisco air. But with prayer and maturity, she'll learn to weather whatever storm comes her way. This was a sweet, fun little romance. There wasn't anything incredibly deep about the plot or the characters. The outcome was known from the very beginning of the book. But it was still enjoyable. The author wove a tiny bit of faith into the story, but it wasn't really enough that I would have even classified this as Christian fiction. The characters didn't have a ton of depth, but it fit well with the light and breezy story. The romance was sweet. The only link to the other book in the series is the tie-in with the theme. It could definitely be read as a stand alone. Overall, this would make a great beach read. It was a nice story to read while lounging in my hammock and I look forward to the author's next book in the series. No one knows the real Emmalee Warren, just what they want from the infamous woman. Men are coming out of the woodwork to stake a claim on the miner's widow. They wanted her body before. Now they want her money. Hiring a lawyer, Richard Lewis, to save her from financial ruin might let her start over where no one knows Miss Ellie. Becoming an unknown is the only way to freedom…or is it? Can she leave her past and build a new future? 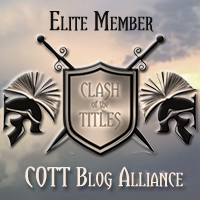 Ques: We heard there was something special that happened to you while writing your fourth book in the historical romance series, Montana Beginnings. What was special about the Bitterroot Bride heroine for you? Angela: Writing Miss Emmie learning to read became an amazing experience. Though I’d learned to read at four, I didn’t understand how to connect and read people until well into my adulthood. So while Miss Emmie became proficient in reading, I became proficient in relationships. She’d eat up every book she could get her hands on and studied with intensity. I did the same thing, but about relational topics. Ques: When did you realize the parallel character arc had so much in common with your real life? Angela: About halfway through the first draft an epiphany happened. I stopped, took a day or so to really think about my personal experience, then began an intentional focus on writing the emotional parallel. 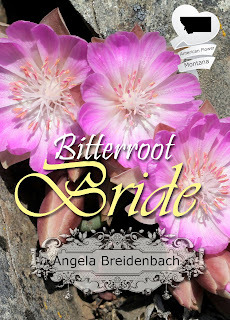 Ques: What do you hope Bitterroot Bride does for readers? Angela: I hope this story is both entertaining and encouraging. I’d like readers to absorb the idea that like Miss Emmie and me, if you have the desire to learn something then you can. Age doesn’t matter. Ques: Can you tell us the titles and a little about the Montana Beginnings series? Angela: All four titles are set in Helena, MT from 1889 – 1895. It’s right when we became a state, but mining couldn’t support us forever. The Debutante Queen introduces us to Calista who steals an orphan off the street to protect her from a cruel master. Eleven Pipers Piping brings forward the newsies, newspaper boys and orphan train leftovers, into Mirielle’s classroom. Then in Taking the Plunge, Delphina takes us back to the iconic Broadwater Natatorium as a swim instructress. Then Emmalee enters the scene as we find out how Montana chose her state flower. 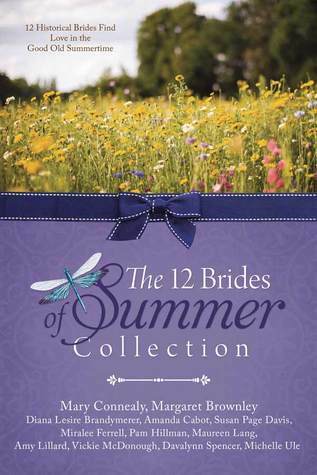 Each of these lovely Victorian ladies finds her true love while carving out a meaningful life in Montana’s frontier. 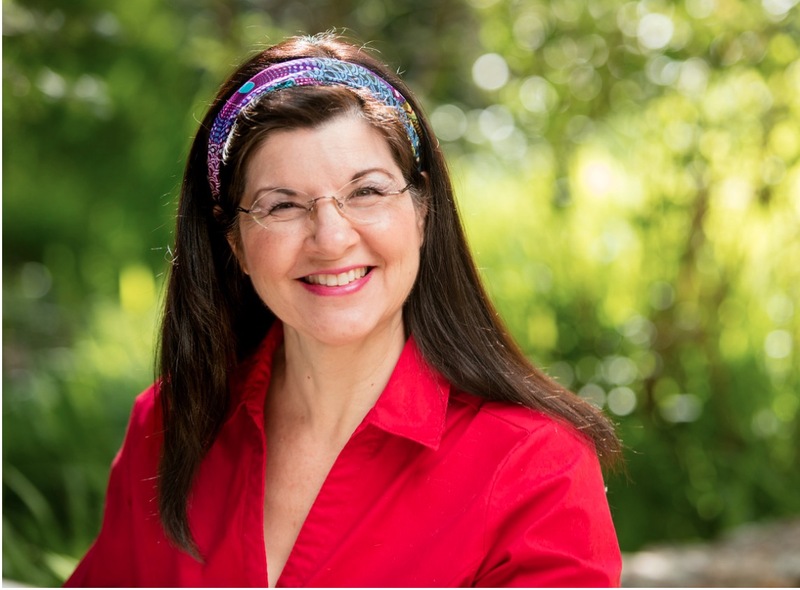 Angela Breidenbach is a bestselling author and host of Grace Under Pressure Radio on iTunes. Angela is the Christian Author Network's president. And yes, she's half of the comedy duo, Muse and Writer, on social media. Lynda has been dealt a series of rough blows. Everyone turned against her or left her. She's suffered from severe depression since her husband left her years ago. But now that some of the secrets from her past have been brought to light, she's beginning to see that she wasn't completely abandoned. Her family loves her and an ex-con and former friend wants to renew their friendship. Lynda will need to fight to rise above the doubts and negatives, but what awaits her at the end will be beautiful. The story started out slow for me. But within a couple of chapters, I was hooked. I think this is my favorite book of the series. Just like the previous books, the author weaves a tale that feels so real and engaging. The characters could be someone you know or live next door to. The author handled the subject of depression well and I felt gave the readers a bit of insight into what it's like to live with depression. The inclusion of faith fit well with the story and was well written. The book could probably work as a stand-alone, but I would recommend reading the other two books first. It will make the story so much richer. The author tied everything up, but I could definitely read more about this town and its inhabitants. Overall, I was incredibly impressed with this new author and can't wait to see what she comes up with next. Eric has lost his job due to corporate downsizing. Thanks to his push for partner in the large law firm he knows he won't have any trouble getting another job. But he decides to head home to Hope Harbor to take a small vacation before he rejoins the rat race of 60 hour weeks and no time for anything except law. What he doesn't expect is to rear end a pick up truck driven by a beautiful woman before he even makes it home to his dad's house. And to his chagrin he finds out the woman is BJ, the architect redoing his dad's house. Both BJ and Eric come from fast-paced work environments in large cities. But BJ has chosen to make Hope Harbor her home and leave the crazy work schedule behind. Eric has no intention of staying, but when he joins BJ on a mission of hope for the citizens of Hope Harbor he realizes there is more to life than law. I loved this book. It contains the author's great writing style, but takes a completely different plot line than her typical books. The setting is picturesque and the writing draws the reader in. The characters are full of life, quirky, and lovable. 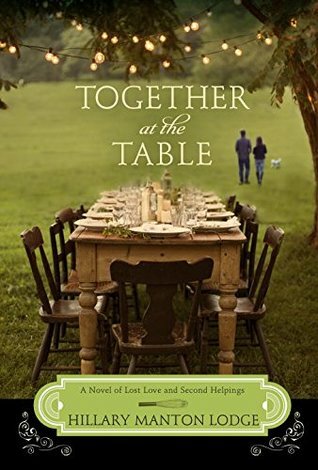 It has the feel of a small town novel, mixed liberally with faith, family, and life. While this is the second book in the series, I definitely feel like it could be read as a stand-alone. I fell in love with the author's writing when I read her suspense novels, but I must say that I love these books just as much. I can't wait to read the next book in the series. Ever been bored and no new ideas are coming to mind? Ever had your child tell you they were bored and wanted something to do? 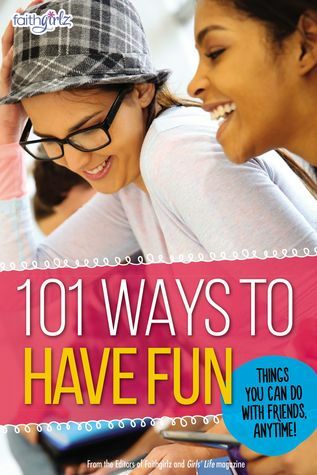 This book is designed with pre-teen and teenage girls in mind. It literally has over 100 ideas that will keep them entertained, but also provide added benefits as well. The ideas range from things that you can do alone, do with friends, get active, make money, or make crafts. Most of them require little to no money and are fun and entertaining. The book is designed with lots of bright, colorful photographs, cool graphics, charts, notes, and a super cool layout. My daughter isn't quite a pre-teen, but she fell in love with this book. I've had a hard time getting it back so I could write a review. The ideas are well fleshed out and full of fun elements. I liked how so many different concepts are thrown in. There is literally something for everyone. The cover and pages remind me a little of a magazine, which I'm sure will add to the appeal for this age group. Overall, this is something great to give your daughter when she first mentions she's bored, or to give as a gift to a young girl you might know. I look forward to seeing some of the items my daughter chooses first. Juliette is struggling with her mom's cancer, the opening of Two Blue Doors, her long distance relationship with Neil, and the family secrets that her grandmother kept. So when she is confronted with some uncomfortable truths, she reacts in a way that will affect her for quite some time. Now it's time to get her priorities straight and figure out what she really truly wants out of life. Doing this is incredibly hard, but worth it in the end. This is the final book in the series (at least I'm assuming) and the perfect ending to a wonderful foodie fiction. I'm not a foodie, but I absolutely loved this element. The recipes at the end of the chapters, not only fit with the story, but were delicious. The story isn't a stand-alone, but was the wonderful conclusion to a story I've been relishing from the beginning. 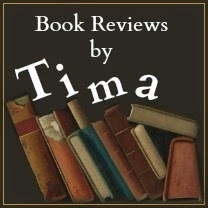 The author is gifted with presenting someone that is relatable, flawed, and delightful. Each of the characters fit so well with the plot and the main characters in the story. While the ending wasn't really what I was expecting, it was the perfect ending. I look forward to reading more by this author. Her writing is truly gifted. Can't beat these gorgeous covers either. CanDee loves researching her books. She eats up history. So when a now ex-boyfriend stole her last novel, she resorted to writing genealogy books for families as her bread and butter while she worked on the next novel. 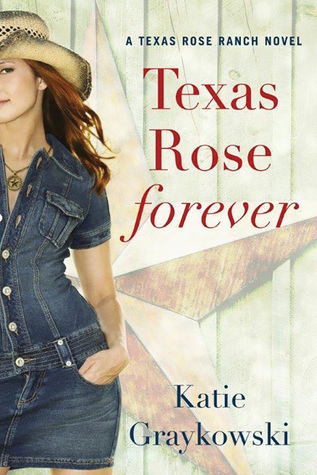 But she definitely doesn't expect to be confused with a stripper when she first walks onto the Texas Rose Ranch. Things haven't quite started off like she'd planned. And her plans are all messed up from here on out. This book had a definitely YA feel to it. And as you all know, I'm not super fond of YA. But overall, this one was nice. It had humor, a bit juvenile, but still funny. It has romance, brought down to a YA level, but still sweet. 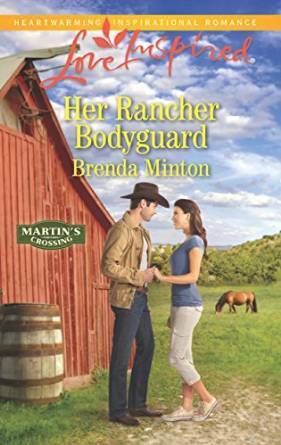 I enjoyed the interaction between the two main characters, the twist with the ex-boyfriend, and the history about the ranch. I had a good time reading the book. Still not sure if I will read the next one in the series. Several things were a bit too - for lack of better word - juvenile for me. There were also a lot of typos and grammatical errors. With some good editing, I think this would be a big hit among the YA book lovers. 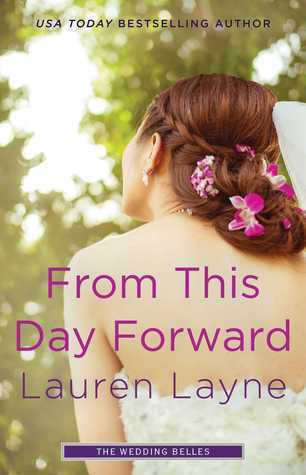 It would have to be more adult for me to fall in love, but overall, a sweet romantic comedy that was fun to read. Juliette is getting ready to head to Provence to try and find out more answers to the clues her grandmother left her. When Neil offers to join her on the trip, she almost expects him to call and cancel. Their relationship hasn't been the easiest. 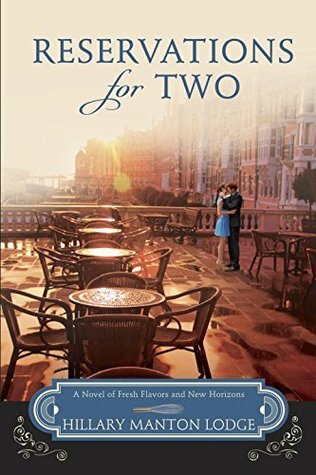 But the two find themselves enjoying the French and Italian countryside with each other as they meet Juliette's family and learn more about her grandmother and each other. But back at home, life with a long distance relationship isn't easy or uncomplicated. It was wonderful to reconnect with the two main characters and the author's beautiful writing. This isn't one of those fast paced suspense novels or a sweet romance. It is complicated, sad, happy, full of food, family, and life's issues. Very much like real life, but written so well and so captivating that I was swept along for the ride. The plot is actually the telling of two stories - Juliette and her grandmother Gabrielle. As Juliette lives her life, she also spends time trying to find out her grandmother's secrets. Mostly these are revealed as she reads letters her grandmother wrote to her sister and husband. The book was wonderful, but ended in such a way that I was incredibly thankful that I had book 3 and could begin reading immediately. I would highly recommend this series. But first make sure you have all three books in hand before starting. 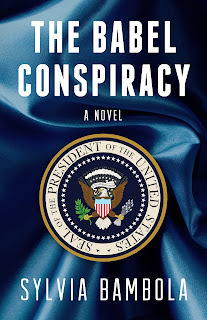 The Babel Conspiracy by Sylvia Bambola, was the first book I've read from this author. 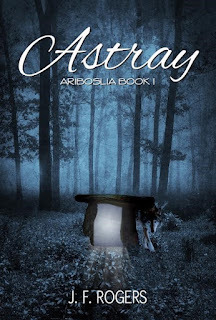 It will not be my last… it is very well written and at times, you won't want to put it down. Looking forward to reading more of this talented author! The Babel Conspiracy is a tale of intrigue and love. Two women engineers struggle to develop the world’s first nuclear-powered aircraft amid ever intensifying global terrorism and muddled personal lives. 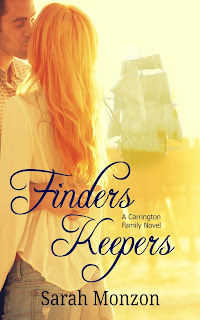 Trisha Callahan has an abiding faith in God, and “those roots of middy blouses and pleated skirts, prayer books and incense-filled churches went deep.” This faith is tested when she finds herself in love with a married man. 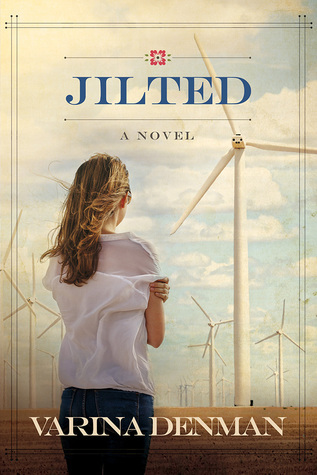 Audra Shields sees herself as a modern Lady Chatterley, “liberated but not forsaking breeding, intellect, or femininity.” When she becomes involved with a dangerous stranger, she begins to question her lifestyle. Both women try sorting out their personal problems while racing the clock to finish a project fraught with sabotage and murder. And who’s behind it all? When the Department of Homeland Security and the Mossad finally figure it out, the answer surprises everyone. Bronze Medal Winner/Christian Historical Fiction). A resident of Florida, she teaches women’s Bible studies and has two grown children. Want a fun and entertaining way to learn more about other kids in a different place or time? 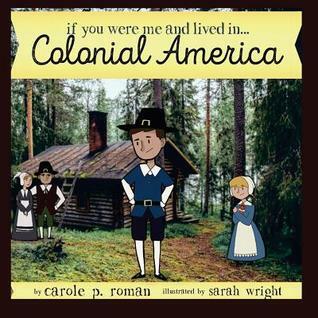 Join the author on a trip back in time to learn about how life would be like for you if you lived during the colonial times in America. The book, set in a story style, will tell how they lived, worked, ate, and played. It talks about the life during that time and the people who might have influenced you. Lisa, a US dress designer, had a brief relationship with Luc, a prince from Mardovia. But they both knew the relationship couldn't progress because of who they were and where they lived. So it ended nicely and they both went their separate ways. But when Luc briefly back in the states, he meets up with Lisa to reconnect. They make a little mistake and a few months later, Luc realizes that Lisa is pregnant with his child. Now they must make a choice - do they try to share the child across an ocean or should they get married in a marriage of convenience. This was one of those sweet, romantic books with an misunderstood female and an alpha male. It was cliqued, cheesy, and totally predictable. But sometimes you just want a romantic story that you don't have to put any effort into. This is the perfect book for that. I knew what was going to happen from the very beginning. But it was a fun, quick read that helped to pass the time and fill my need for a cheesy romance. This book would be a perfect beach or doctor's office read. It won't leave you on the edge of your seat, but it will fill you with that lovely romantic feel and can be read quickly or put down and returned to later. Since this was exactly what I was expecting, it was an enjoyable book to read. Kayla buried her hurt with partying and acting out. She's now on the correct path and has cleaned herself up, but has gotten a stalker of sorts. So her father, a politician, has hired a bodyguard to keep her safe until he can find out who is trying to harm his daughter. 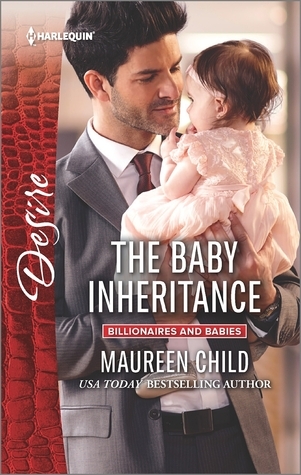 Boone owns his own body guard business and isn't thrilled that his next job is to babysit a spoiled rich girl. He takes her home to Martin's Crossing where both of their families live. He's hoping that surrounded by family so far out in the country will make his job easier. What he doesn't count on is how different Kayla is from what he expected. This is a book in a series about the town of Martin's Crossing. So there were quite a few times that I felt a little lost. I would recommend finding the previous book(s) and reading them first. It really took me a while to get into the story and I think this was why. Otherwise it was a sweet, clean story with a little bit of mystery/suspense mixed in with the romance. There wasn't as much faith as I expected considering the genre so readers who appreciate more secular books will probably enjoy this book. 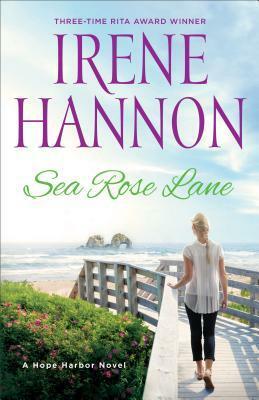 Overall, I enjoyed reading this book and think it would make a great beach read. When Lilah's best friend, Spring dies, she leaves her daughter in Lilah's care. Now Lilah must take the little girl, Rose to meet her uncle. Reed is a divorce attorney who doesn't believe in love. He's taken care of his siblings ever since he's been able to help them out when their parents became pros at getting married. Now both of them have been married multiple times with multiple children, leaving Reed to clean up the mess and disbelieve that true love exists. Reed has no idea what to do with Rose and begs Lilah to stay on as her nanny until he can arrange for another caregiver. This was a nice, but not great story. Most of these shorter stories are predictable, so that doesn't bother me. But none of the characters really stood out. The story didn't really have a plot, other than boy and girl work through some minor difficulties so they can be together. Overall, it was a simple story of love that overcame some minor obstacles so they could live happily ever after. It would make a great beach or dr office read when you have a few minutes and want a sweet, uncomplicated story. Leah's career as a wedding photographer is going great. But she when she has the opportunity of a lifetime she can't pass it up. When she realizes who she'll be working for, however, she almost wishes she had passed it up. Years ago she dated another photographer named Jason. But when he cheated on her and broke her heart, she vowed to never let him hurt her again. Now he's charming her and making her forget her vows. Can she trust him again? This was a sweet, entertaining romance story. The author did a great job of drawing me in to the story and making the emotions of the characters authentic. Both characters were dealing with a lot of misunderstanding, but the romance, once they worked it out, was sweet. I read this on my ereader, so I'm not sure, but it felt like this was novella length. I thought the author did a great job of creating a plot with relatable characters and a bit of drama in the short space she had to work with. Overall, it was a fun story that I enjoyed and I look forward to reading more by this author. The author has the same problem most of us have - too much stuff. Our homes are filled with things, our schedules are packed and our lives are headed towards crazy. She's taken a simple, yet effective approach and has mixed stories of her personal experience and sound advice from experts to talk about how we can lessen not only our stress, but our dependence on things. Not only was this book filled with helpful advice and tips for getting rid of stuff, but it was actually really interesting. The stories fit well with the topic and were entertaining as well. The author mixes humor with facts to bring out important thoughts on how to change our attitudes and relationships with stuff. I loved the lists, to-do lists, and ideas on how to declutter. 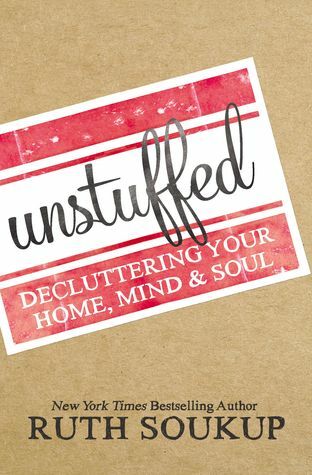 Overall, this would be a great book for someone who needs to declutter, wants to unload both their schedules and their closets, and enjoy the read while they do it. I received this book free of charge from BookLook Blogger in exchange for the honest review. Willa wants desperately to be brave. But after losing her husband and then going through a cancer diagnosis with her daughter she's used up all of her courage. But Willa promises her daughter Savannah, that she'll try to live again. When she meets Dr. Patrick he challenges her to look at herself and the world around her differently. Willa finally begins to feel like she's living again. But the date for Patrick's departure from Lenox is rapidly approaching. Can Willa still be brave without her friend? I read the first book in this series and really enjoyed it. So I was excited to pick up the second book. The author didn't disappoint. These characters are real and authentic. The characters, while sometimes deeply flawed, are so likeable and relatable. 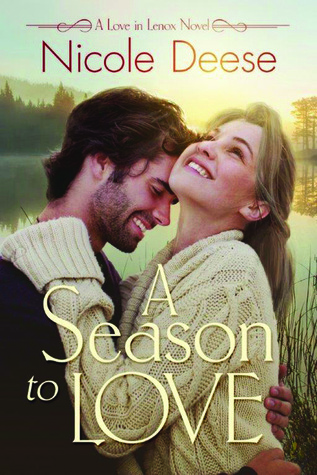 The author wove faith, trust, and sweet romance. I loved the relationship between the two main characters. 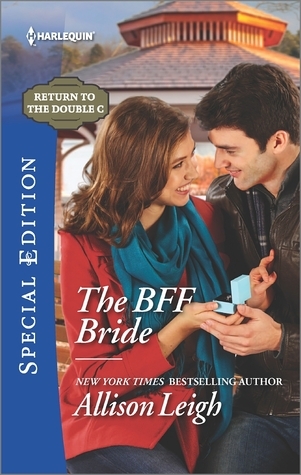 The author created a friendship and wove the love into it. I also really liked the secondary characters too. They fit well with the plot and rounded out the story. 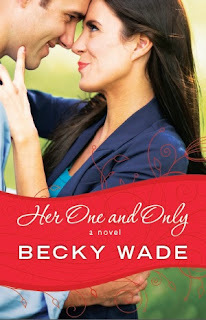 Overall, this was a sweet Christian romance that I really enjoyed. Love art and fashion? Need some relaxing time? 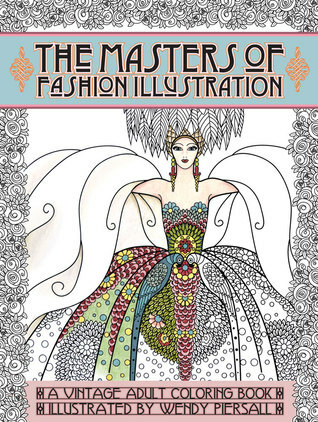 Take a look at this beautiful adult coloring book that features fashion from the art deco and art nouveau periods. As you open the book you will see the left page has the plate number, fashion artist name, and date. Then on the right is the beautiful illustration waiting for you to color. I love coloring, so this was a real treat for me to review. I've reviewed other coloring books by this author and am always impressed with her attention to detail, artistic flair, and gorgeous pictures. This isn't a mass produced, cheap book. Each page will take hours and will be worthy of framing when finished. Each page is hand drawn to showcase the fashion that was prevalent in a time before photography was used as means of showcasing fashion. I would recommend this to anyone who wants a detailed, high quality book to relax and color in. Eight months ago Dr. Sarah Gordon lost her husband and daughter in a tragic car accident. Since then she's been receiving prank calls and thinks someone may be watching her. As if her grief isn't enough, her stalker has decided to set fire to her home. Now she's in fear of her life and is staying one step ahead of them with the help of her husband's best friend and a detective. Everyone seems to be at a loss as to who has Sarah in their cross hairs and why. This book started off in the middle of the suspense and didn't let up. I love this author's ability to pull the reader into the action with the descriptive details and real to life characters. The rawness of the emotions and the tiny clues that help solve the mystery are all part of a great plot. The author also does a great job of showing authentic faith and what it means for each person. He had quite a few secondary characters that I can see easily going on to have their own books later. Overall, I really enjoyed this book and eagerly look forward to his next one. The novellas in this book first began as four separate books that have now been combined into one book. Each story has been written by a Christian fiction author and the stories only tie together by their historical setting during the summer time. Otherwise, they work as a stand-alone novella. The short stories give the reader a moment to step back in time for a little faith and romance. It also gives you a small taste of the author's writing style. First, I loved this cover. It is incredibly beautiful. I have read books by several of these authors before so was excited to read something by them again. It's also nice to find new authors so you can sample their writing. Several of the stories were great and I really enjoyed them. I even gave one 5 stars. Others were just ok and while I didn't hate them, I wasn't in love. Because I'm a nerd, I gave each story a star and averaged out the ratings. It comes to a rating of 3.6 stars. So I'm giving the book as a whole a 4 star. Great book for taking along on those trips or waiting times. The stories are short so you can put them down or finish them quickly. Overall, this was a good book and I'm glad that I own it.